Seals resting at low tide on the tidal island of Worms Head. 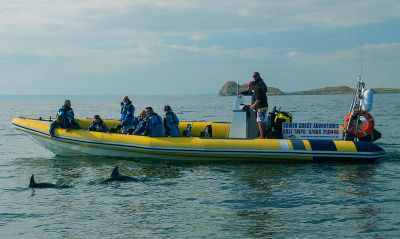 Experience fantastic wildlife encounters on our round trip from beautiful Oxwich Bay to magnificent Worms Head, the tidal island at the western tip of Gower. Along the way we hug the coastline taking in Gower’s stunning scenery from a unique perspective. Listen to stories about historic caves and smugglers haunts. 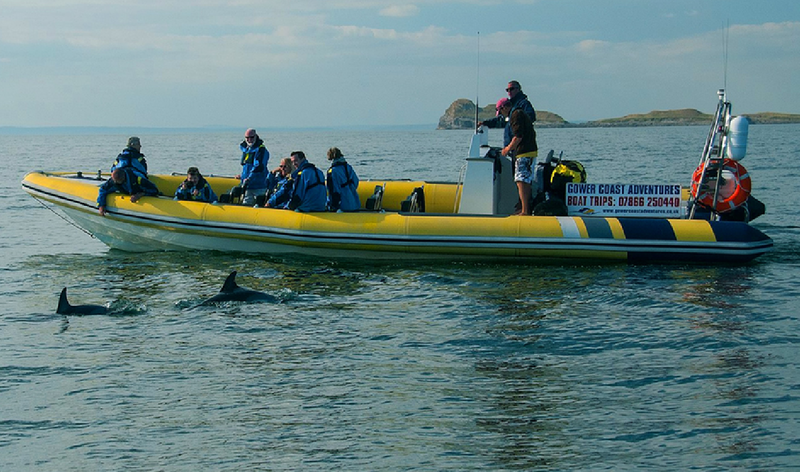 Keep an eye out for the regularly seen harbour porpoise and playful common dolphins amongst diving gannets. At Worms Head delight in the sights and sounds of hundreds of seabirds during nesting season, seals basking on the rocks or dozing in the water and the chance to experience the spectacular blowhole at high tide. 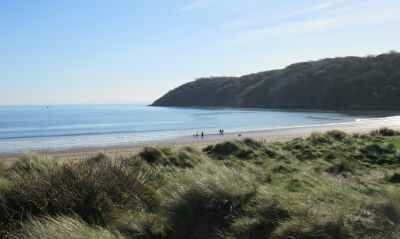 Oxwich bay is a beautiful and sheltered sandy beach, it’s a great place to spend the day. There is a large car park charging £5 per day upon entry. Facilities include bird watching hides, nature walks, Oxwich Watersports, toilets, cafés, restaurants, Oxwich Bay Hotel and Oxwich castle. Sign in at our booking office at least 30 mins before your departure time. Our staff will use this time to kit up passengers with waterproofs and lifejackets. Please ensure that warm clothing is worn underneath waterproofs and bring footwear that can get wet (beach shoes, crocs, sandles etc). 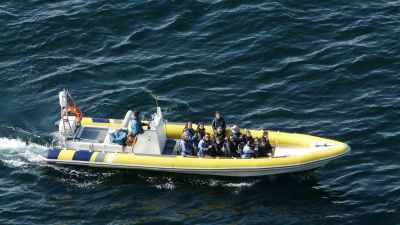 Passengers will be lead to the waters edge by a member of crew where they will walk into the sea to knee depth and then step up to board the boat. 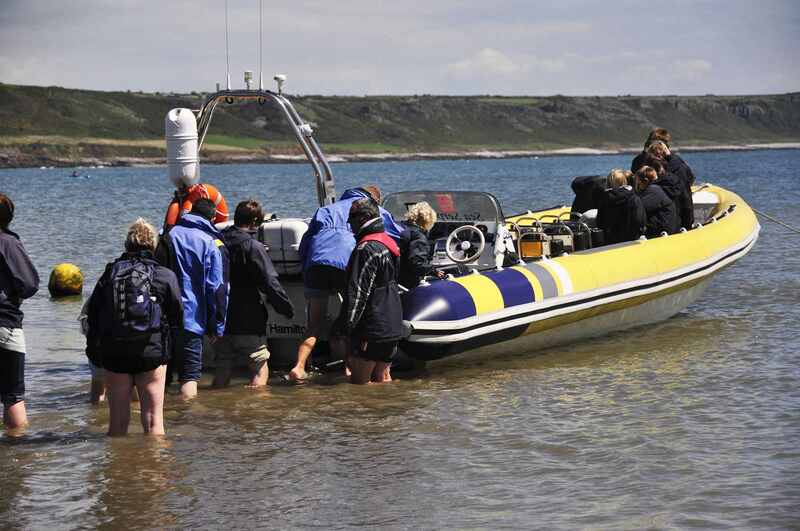 Please note, at low tide it is a longer walk, the step up to the boat is knee height and crew are there to assist passengers. 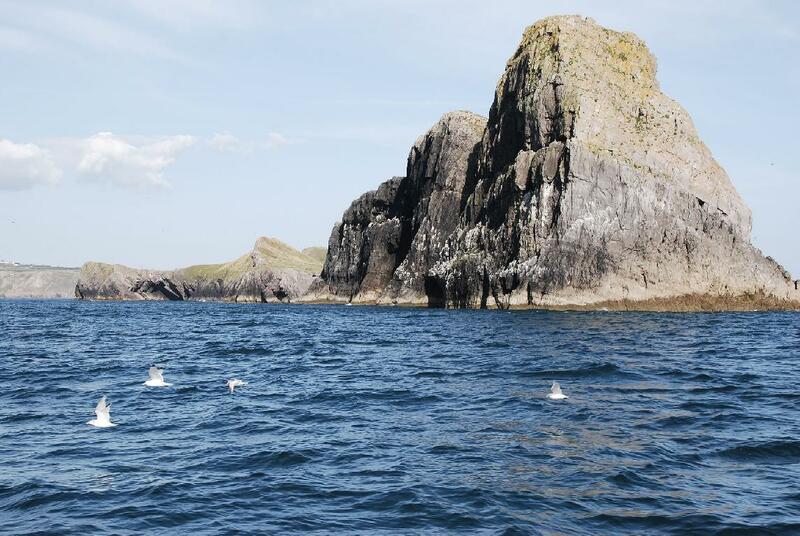 After what seemed like a mini-monsoon season last week, the sun has returned, and wind has dropped so what better excuse to get out on the open sea and look for some porpoises and dolphins?! 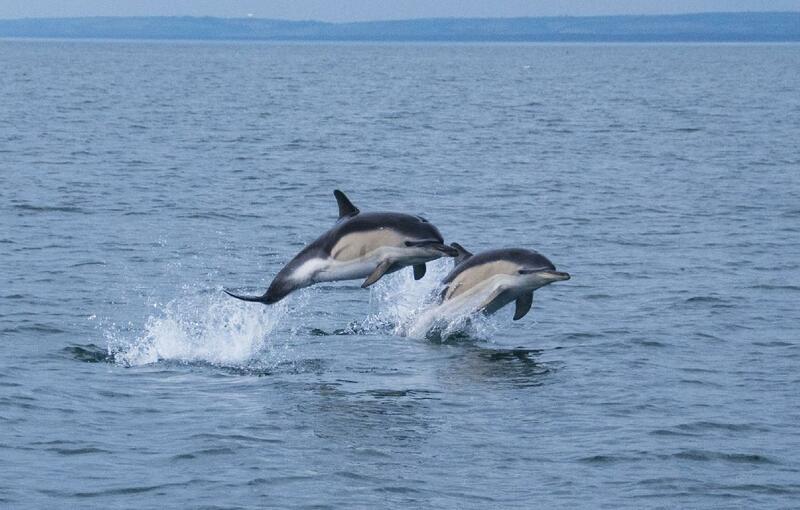 June and July this year has given us some unforgettable encounters with common dolphins around Gower. Our passengers and our crew always love to see these charismatic marine mammals playing around the boat, breaching into the air, bow riding, and splashing about. We've had a few wildlife 'firsts' for the 2018 season recently! Our first octopus jellyfish of the year was seen on a trip a few weeks ago, and our passengers loved seeing our first spider crab from our lobster pot a few days ago. Spring in the UK is a great time for wildlife encounters, and the Gower peninsula is no exception. Birds are preparing to raise chicks; mammals are more active, taking advantage of the warmer weather and long days; and as the ocean starts to warm up the sea algae blooms, attracting fish and bigger sea creatures to the area. Atlantic grey seals have their pups during autumn and winter. 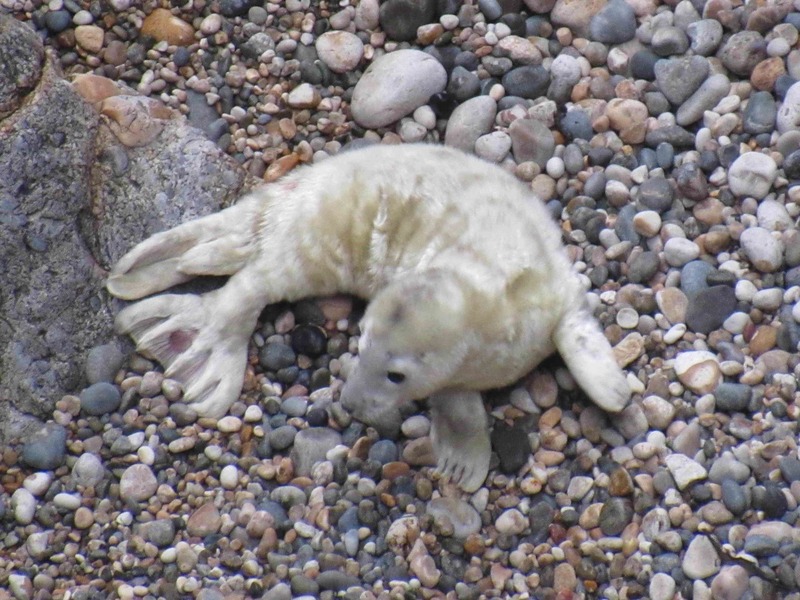 Here in Wales pups start appearing along our coastlines from September onwards. Mother seals give birth to just one pup a year. They are born on land with white fluffy fur, and stay out of the water for the first few weeks of their lives. Read on to find out more about these enigmatic creatures and what to do if you discover a seal in need of help. 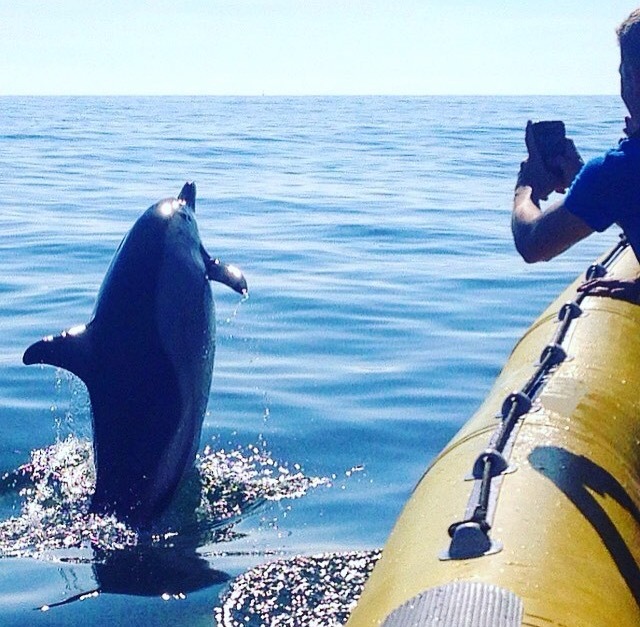 We've had fantastic dolphin sightings on our trips recently so it seemed apt that this next blog post explains more about these amazing animals and our joyful encounters with them. It’s incredible how the presence of another species can make us humans so delighted and overwhelmed. But that’s exactly what dolphins do. It’s the most breath-taking feeling watching a dolphin swimming along next to you, looking into their eyes, and seeing them look back into yours, knowing there’s another intelligent being there. We feel privileged that we get to encounter these spirited animals so often on our trips. 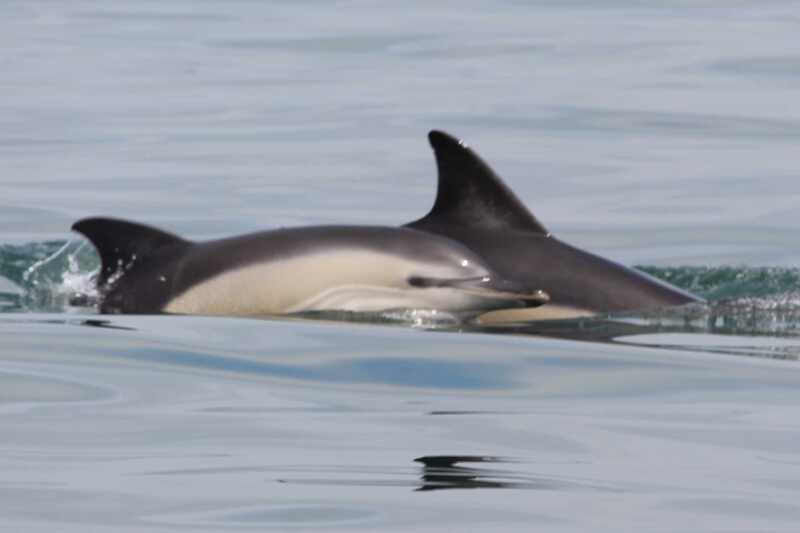 Short-beaked common dolphins visit the Gower coast every year in the warmer months. Last year we saw them in every month from May to October. This year we got our first sightings in June and we’re still seeing them now. Sometimes we see small groups of 3 or 4 animals, other times we may encounter hundreds! The most common group size we see is around 20 individuals. 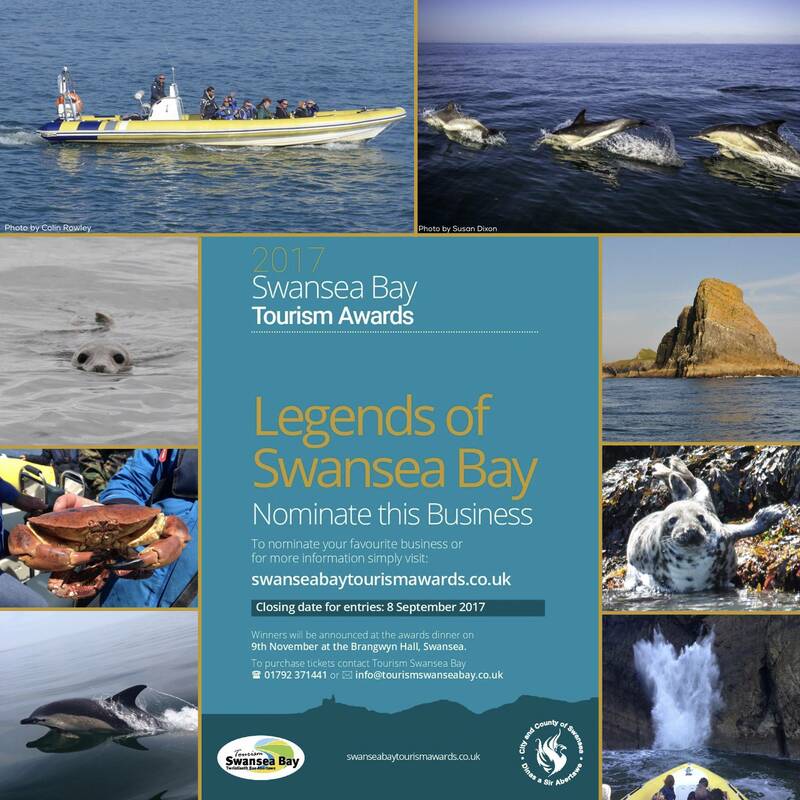 The Swansea Bay Tourism Awards are being held on 9th November this year and we are entering the category of 'Best Activity or Attraction'. Winners are determined based on our own written application and on the number of nominations that we get from members of the public. So we really need your help to win! You can nominate us by clicking here. 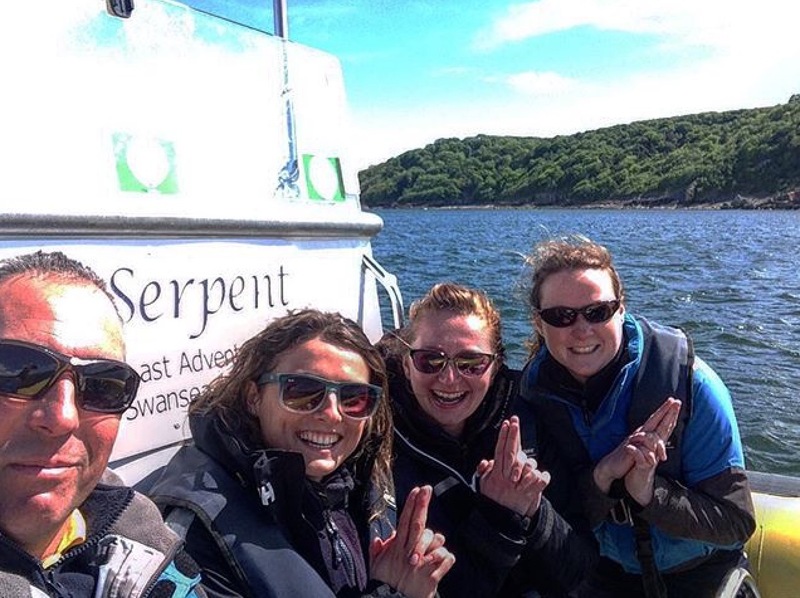 We're really proud of our boat trips, our customer service, and all the other work we do here at Gower Coast Adventures so if you need any inspiration or encouragement for your nomination entry (it has to be less than 100 words) then scroll down to read what we've written for our application to the awards. You've only got until 8th September before nominations close (that's this coming Friday!) so please do it soon, it only takes a few minutes! Thanks for all your help and support folks, we really appreciate it! 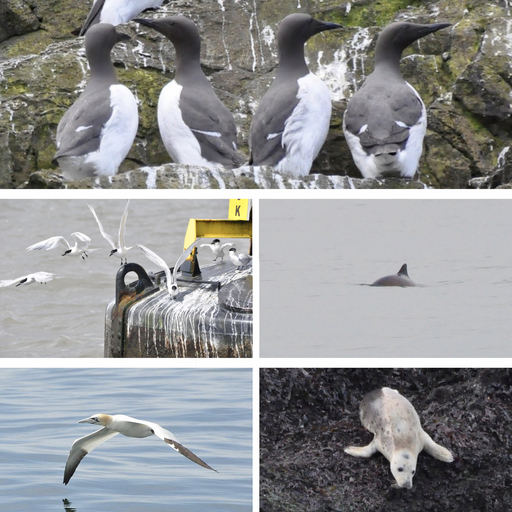 Besides the ‘Big 3’ marine mammals we see on our trips to Worms Head (seals, porpoises and dolphins) we also get to see a huge variety of sea birds. Some of them nest on the Worm every year, others we regularly see fishing in our rich waters, and a few are just passing migrants which we only see at certain times of year. 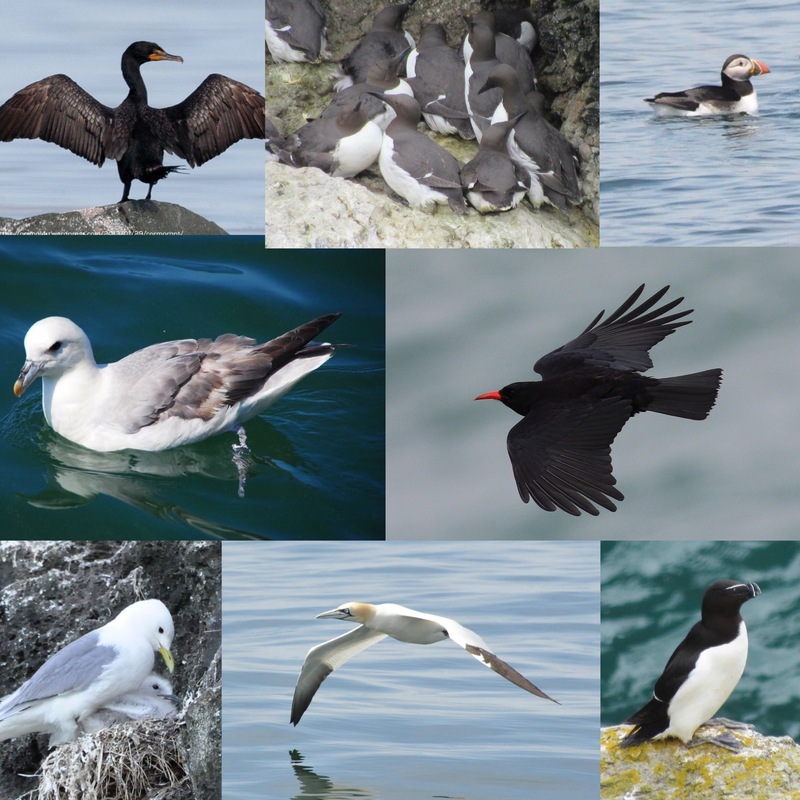 Several of the bird species we see aren’t even sea birds. Some will be well known among most people, others are less well known. But all of our local bird species are incredibly interesting and fascinating in their own way. 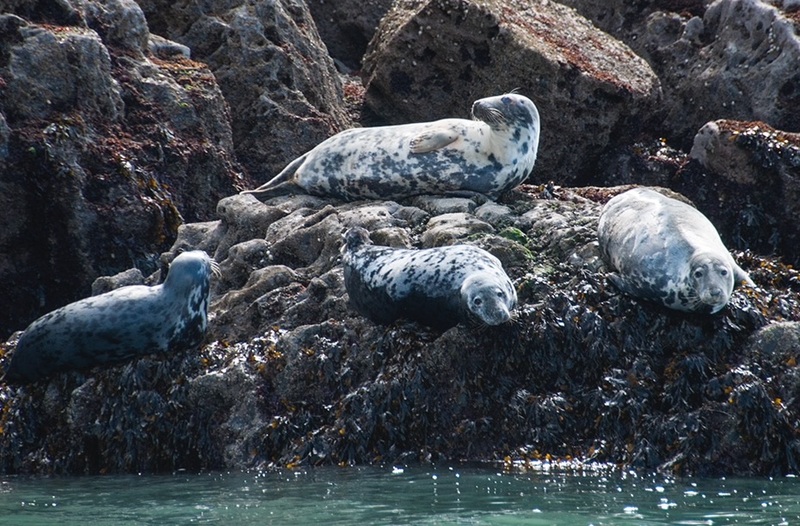 If you've been out on a trip with us to Worms Head you'll know that our star attractions are the Atlantic grey seals which bask on the rocks or snooze in the water there. There is a resident group of seals here. Even though they can travel long distances alone and hunt for food on their own, seals tend to haul out on to land in groups. This is probably because they are more vulnerable on land, as they are far less mobile than in the water, and feel safer among others of their kind. 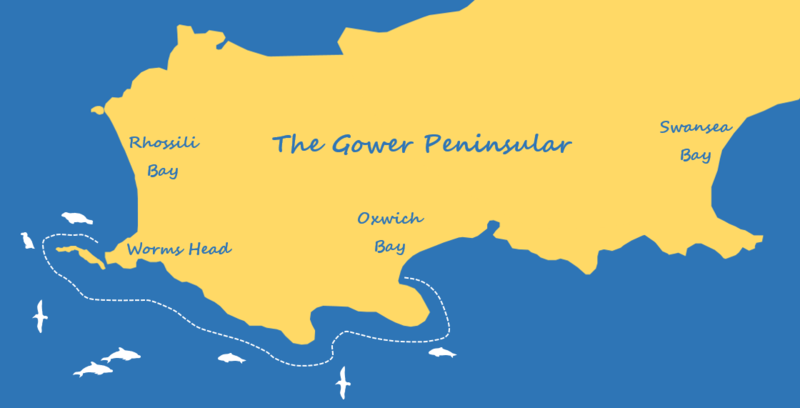 Gower Coast Adventures is blogging! Welcome to Gower Coast Adventures' first blog post (of many!). 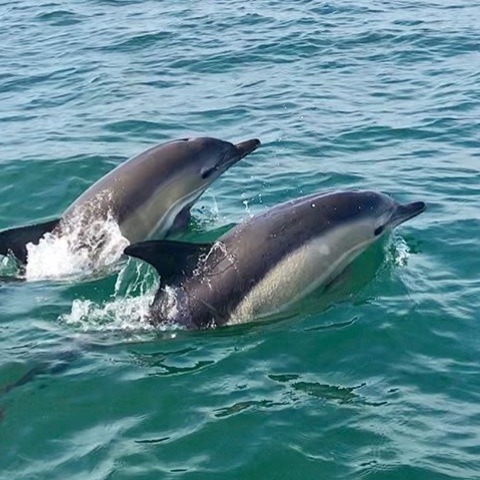 We will be blogging often throughout the season to bring you up-to-date news, stories, and photos of Gower's wealth of wildlife and insights into other features along the beautiful coastline that we encounter on our boat trips. We've got so much to share with you, from legends of sea caves, shipwrecks, and smugglers, to sunbathing seals, spectacular sea birds, and spirited cetaceans. We're keen to show you what creatures we haul up in our lobster pot too, and enthuse about the more unusual marine life that visits our coasts.